We want fewer kids entering youth or adult prisons, more kids kept closer to home, trauma-informed programming, and a path to redemption for those who can prove they merit a second chance. We want lower prison and jail populations – with effective, community-based treatment and supervision, and fairness in sentencing – as well as safer prison conditions and more opportunities for a successful reentry. We want to stem the tide of women’s incarceration, improve their conditions of confinement and expand their access to services, and help women safely and successfully return to their families and communities. This dashboard visualizes over 800,000 Harris County criminal court dispositions dating back to 2010 using historical data provided by the Harris County District Clerk. Although these are public record, we have removed identifying information and obscured addresses to protect individual identities. If true youth justice transformation is to take hold and be successful in Texas, the voices of Texas residents—particularly those most affected by youth incarceration—must be part of the reform conversation. 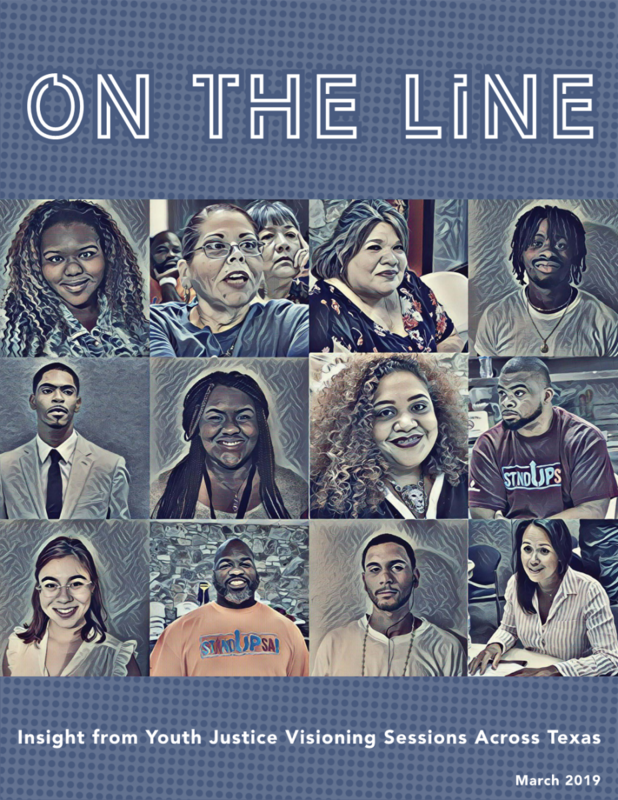 From July through October 2018, the Texas Criminal Justice Coalition held a series of community visioning sessions across Texas to answer this question: What do young people need to avoid justice system involvement and lead successful lives? During each visioning session, participants offered insight, often the product of lived experience as a system-impacted youth or as the parent of a system-impacted youth. This report is a compilation of the messages and priorities from those communites.